The Computerized Mediaeval Corpus of the Castilian Language in Galicia (Tesouro Medieval Informatizado da Lingua Castelá - Galicia or TMILC-G) forms part of the Tesouro Medieval Galego-Portugués, the mediaeval linguistic corpus of Galicia and Portugal. This encompasses the Xelmírez, which constitutes the Galician component of the Tesouro. It contains the mediaeval texts in Castilian Romance. In 2012, the Castilian-language documents or fragments of the works incorporated into Xelmírez and the three that were converted into XML format (cf. 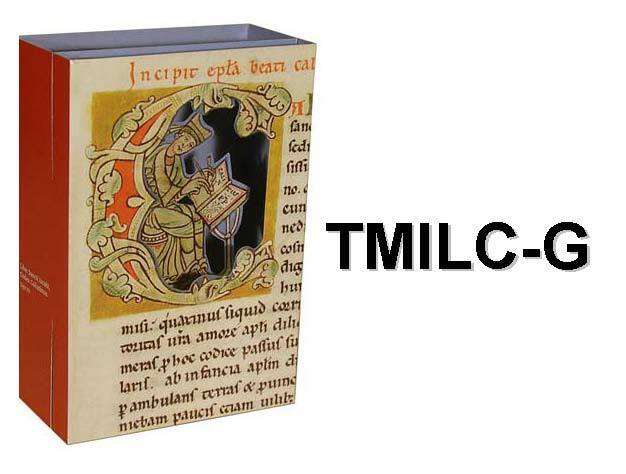 TMILG, the Computerized Mediaeval Corpus of the Galician Language) were codified and prepared.